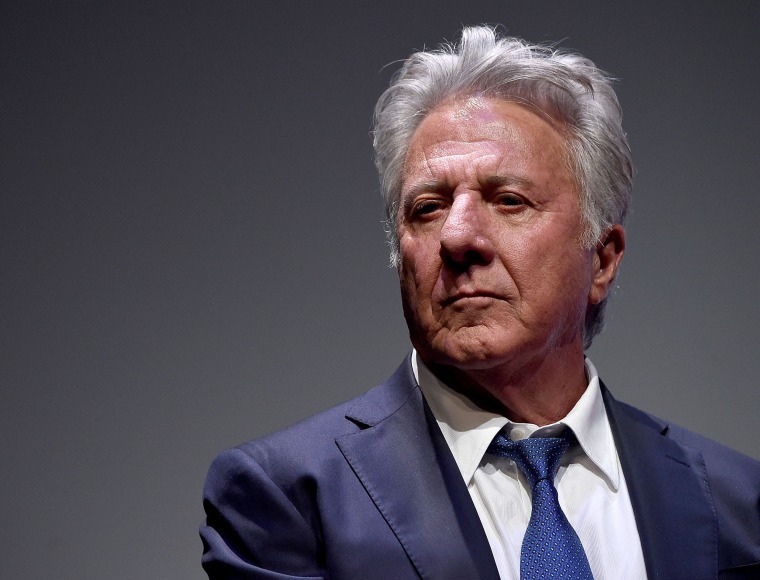 More women are accusing Dustin Hoffman of sexual misconduct, including an incident in which a playwright says the actor exposed himself to her in a New York hotel room when she was 16-years-old. Cori Thomas described the 1980 incident in a story published Thursday by Variety. She confirmed the story in an email to The Associated Press. Thomas was a classmate of Hoffman's daughter when she says she met the actor, who invited her to his hotel room to wait for her mother after a dinner with the teenagers. Thomas says after Hoffman's daughter left, the actor took a shower and came out wearing only a towel, which she told Variety he dropped. Hoffman then put on a robe and asked Thomas to massage his feet, Thomas said, and repeatedly asked her if she wanted to see him naked again. The Variety report included the account of another woman, Melissa Kester, who said the actor pushed his hand down her pants while they were in a recording studio. The incident occurred while Hoffman was recording music for the film "Ishtar," and happened behind a partition while others, including Kester's boyfriend, were nearby. Hoffman's publicist and attorney did not return email messages from the AP seeking comment Thursday. NBC News has reached out to Hoffman for comment on the Variety allegations and he has yet to respond. In a letter to Variety's owner, Hoffman's attorney called the accusations against the actor "defamatory falsehoods." It is the latest allegation of sexual harassment or abuse against the 80-year-old Oscar winner. Actress Anna Graham Hunter has alleged that Hoffman groped her and made inappropriate comments when she was a 17-year-old intern on the set of the 1985 TV movie "Death of a Salesman." Hoffman said in an earlier statement that the incident "is not reflective of who I am." The report came a week after Hoffman was pointedly questioned about his treatment of women by late-night host John Oliver. Hoffman appeared blindsided by Oliver's questioning at a panel hosted by Oliver. In a lengthy statement emailed to the AP, Thomas wrote of Hunter's allegations, "I recognized Ms. Hunter's story as the truth immediately because of the similarities to what happened to me." She said attacks on Hunter's credibility led her to speak to Variety about her experience with Hoffman. "In response to why I've stayed quiet for so many years, I have not stayed quiet for so many years, friends and family have been aware of this story for many many years, I just didn't go to newspapers with the story is all," she wrote. "And I regret that. I realize now, that the reason this continued to happen to others, was because of my silence, and I feel guilty about that but I hadn't even processed how badly this shamed and hurt me."